We are one of the leading UK companies specialising in orthopaedic products and services to the global healthcare, veterinary and dental industries. We have over 6,500 products in our range, covering a huge range of hip, knee and shoulder implants, external fixators, spinal and trauma implants, hip spacers, knee spacers, maxillofacial implants and instrumentation for all the above areas. We design, develop and manufacture a wide range of specialist instruments and consumables for the use in orthopaedic surgical procedures. 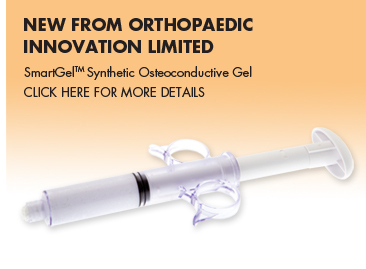 Orthopaedic Innovation Limited is a Medsmart Solutions Family member.